The popularity of the variants that are less sophisticated and fun to drive than a conventional automatic transmission but cost a fraction of them without any loss in fuel economy in its cars is such that it contributes to 43 percent sales in the Celerio, 28 percent in the Ignis and 17 percent in its bestseller Dzire. India's largest car maker Maruti Suzuki India on Thursday said it has so far sold 300,000 units of auto gear shift (AGS) variant in its cars in less than five years of introduction in the market. With the technology now available in seven of its cars, it introduced it in its compact SUV Vitara Brezza earlier this month, the company expects sales of these variants to clock 200,000 units in this fiscal alone. Maruti had first introduced the auto gear shift technology in its small car Celerio at the Auto Expo 2014. 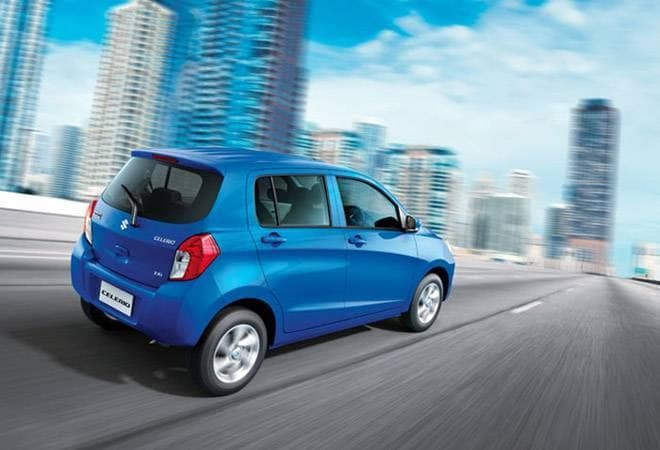 The popularity of the variants that are less sophisticated and fun to drive than a conventional automatic transmission but cost a fraction of them without any loss in fuel economy in its cars is such that it contributes to 43 percent sales in the Celerio, 28 percent in the Ignis and 17 percent in its bestseller Dzire. It is way higher than the industry average of less than 10 percent share of sales of traditional automatic gearboxes in other cars. "At Maruti Suzuki, we believe in providing our customers with the best of technology and convenience. The revolutionary Auto Gear Shift technology is one such innovation that offers comfort and ease of driving to the customers with no compromise on fuel efficiency," said R S Kalsi, Senior Executive Director (Marketing and Sales), Maruti Suzuki India Limited. "It has achieved wide acceptance among customers. Crossing 3-lakh retail sales mark within five years of its introduction is a reflection of the success and consent of the customers for the two-pedal technology. With enhanced awareness and deeper penetration, we aim to sell over 200,000 cars with AGS in 2018-19." This success has also prompted other companies like Renault, Datsun, Mahindra and Tata Motors to also launch similar AGS technology in their cars. As a result, share of automatic manual transmission, as the technology is otherwise called, in the overall car market has risen from 6 percent in 2010 to 16 percent in 2017 and is expected to rise further to at least 25 percent by 2020.